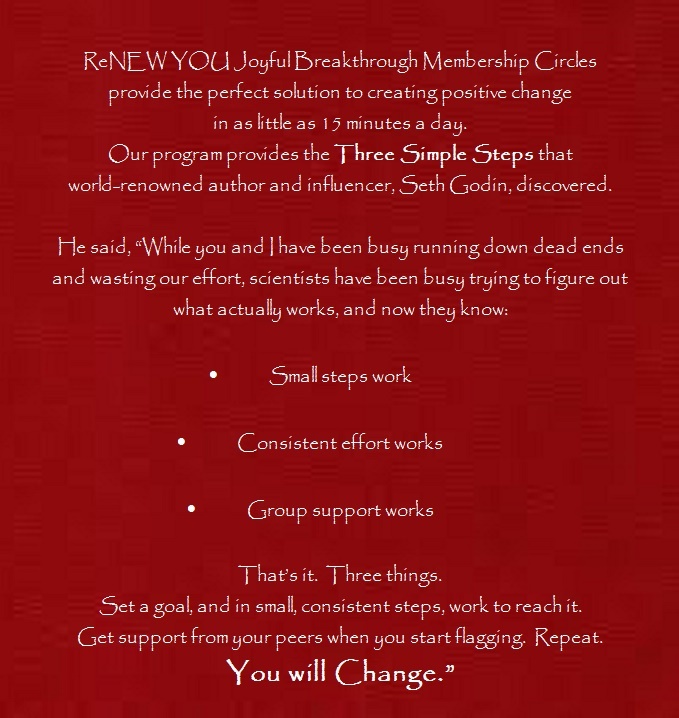 ReNEW YOU Joyful Breakthrough Membership Circles. Meet one small goal per day. Maintain balance with other activities. to establish your own renewed, forward-facing habits. Follow your desires to help, not hurt, yourself and others. Consistently elevate your thought patterns, habit patterns and family patterns. spiritually, in relationships, and physically. 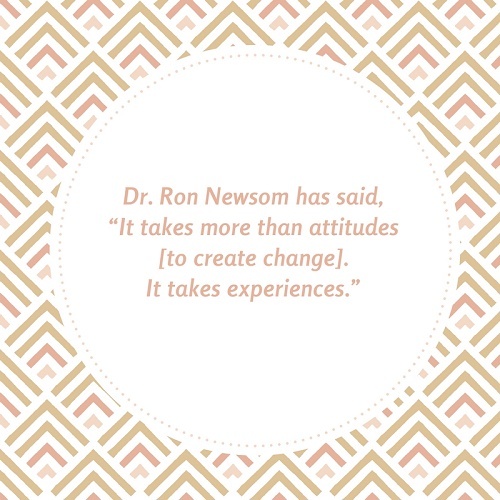 We are creating proactive, sustainable change from the INside out. Online Personal ReNEW YOU Coaching and INcouragement. Personal Coaching on ReNEW YOU materials is available many times througout the week in our online coaching portal. This provides you with coaching at a fraction of the usual cost of private coaching, and you get so many additional features! Different ReNEW YOU class access is available within different small group membership circles. Example: The ReNEW YOUIn Search of Self Video Class is always available, night or day, as part of the ReNEW YOU In Search of Self small group membership circle. You can access it in the ReNEW YOU Education and Support portal. 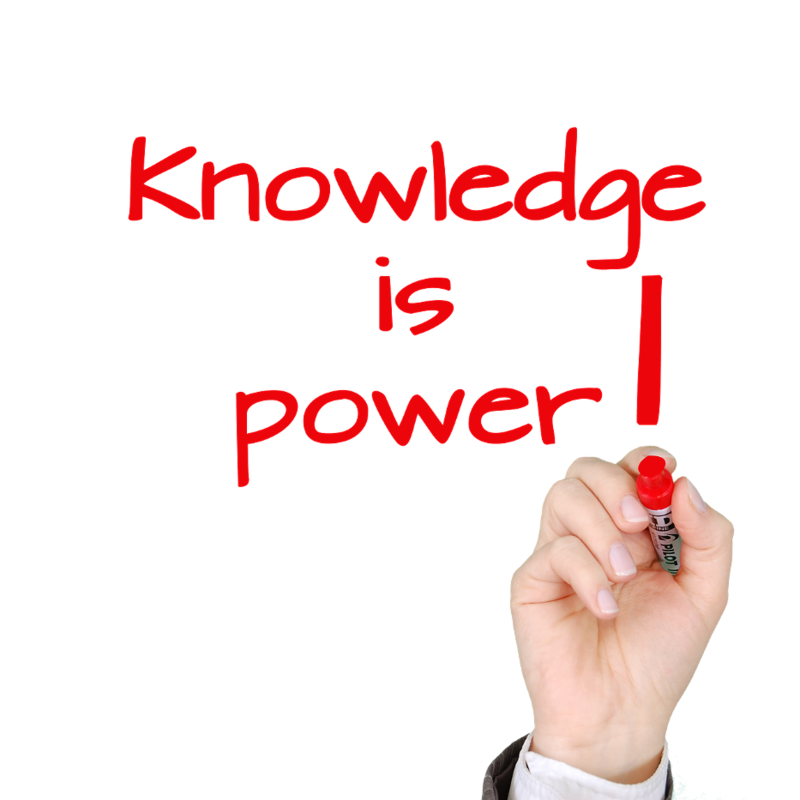 With new information you can embrace new healthy interpersonal skills and make INformed decisions for yourself. Explore and implement class information at your own pace, so there’s no need to be frazzled, hurried or stressed. . Many good intentions die a slow death due to lack of consistency, accountability and follow through. Stay true to the best in yourself. Your progress will become clear to you, and charts and graphs will also mark your progress as you meet or exceed your goals. With our habit-elevating software, you set your own goals for renewal as you maintain support from your ReNEW YOU Coach and community on your own personal page. Quickly log in each day and answer a few short questions that help keep you on track and give you the consistency you need to make your results last. Overcome negative self-talk and other self-defeating behaviors. Those things you’ve been too busy to take the time for can become a reality for you as you invest a little time and effort in helping and healing the INner you. End the isolation of feeling alone. Contribute to the progress of others by adding your uplifting comments on their pages, too. Small groups and forums are specific to the classes you are enrolled in. You will have your own small group (ideally 6-12 people). Also, you will be part of a small group forum where members of your small group can communicate with each other on topics of interest to all members. There is also a site-wide forum for anyone else who is enrolled in the same class but who may not be a member of your particular small group—thus expanding your community of support. Access LIVE interaction with Carolyn and other ReNEW YOU members. Strengthen and discuss the attributes and actions that govern happiness and peace within yourself and in relationships. Stay spiritually grounded and connected to God in this topsy-turvy world. Stay actively aware of pitfalls while becoming better equipped to love and serve your fellowmen. INcrease your power to INfluence people for good. Learn what INspiried action steps you can take to be happy and live a purpose-filled life today and also leave your life story as good or better than you found it. Enjoy the Question and Answers time at the end of each call. If you need to miss a live Class Training and INcouragement Meeting, recordings will be available for a limited time. Your membership automatically renews monthly on the date of your first payment, so you don't miss a thing! This covers the upcoming 28 day session or sessions, depending on the plan you purchased. Your membership can easily be cancelled up to 7 days before the next renewal date, no problem. Dates of each class session will be posted on the schedule within your class portal. See Billing Details & Cancellation Policy for further details. End the isolation of feeling alone. 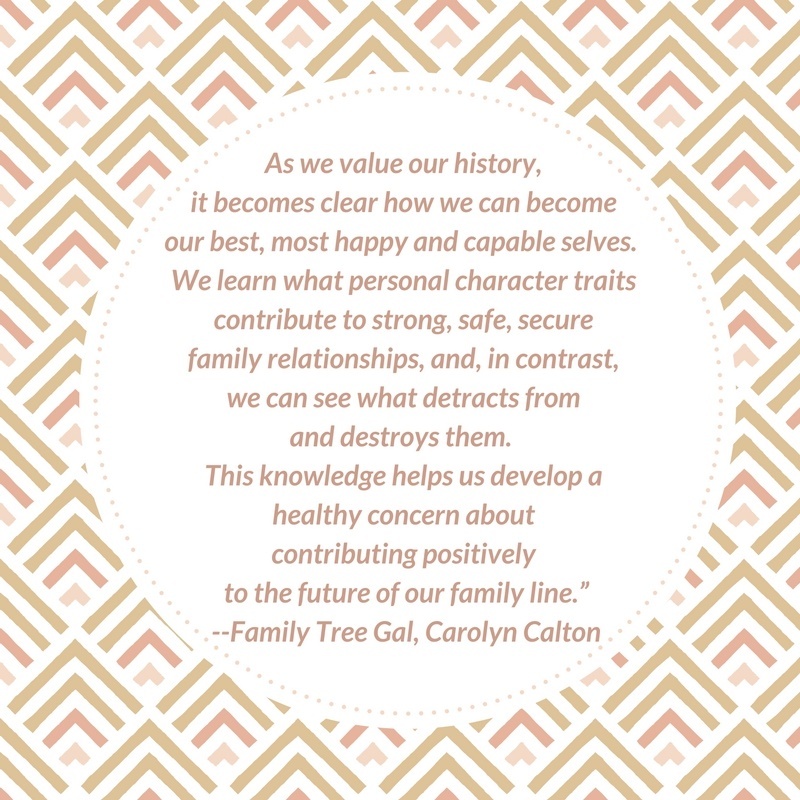 while each class member changes their personal and family history for the better. Receive messages of Hope and INspiration in our once-a-week INcouragement calls. Set your own specific, manageable, bite-sized personal goals. Take 15 or 20 minutes a day to establish your own renewed, forward-facing habits. Get sustainable, measurable results with daily accountability using our unique and powerful, positive habit-building software. Our software charts your progress, so you can see your patterns of growth. Take consistent steps toward creating more happiness in your life. Shape your future and receive better results in your daily life as you overcome problems by focusing on solutions. toward turning your personal goals into reality? Are you determined as well as serious? and feel the satisfying rewards of success—each step along the way. yourself and others so you can leave your life story as good or better than you found it. Shall I count you in? It’s easier to generate and maintain courage when you have the support of a coach and a community. Live in integrity with who you really are as TODAY’s ChangeMaker. Interact with your coach who will check in with you and provide comments and INcouragement during the week. Receive small group support as you INteract and cheer each other along. Isn’t it time to stop procrastinating ReNEWing YOU? can you really serve those you love? will you really create the needed change? and could use some support. Healing and helping yourself IS the way to heal yourself, your family and your family line. Show your loved ones through your actions that there IS a way to create much-needed change. Magnify the power of your personal, positive INfluence. Anchor yourself to sustaining your strength and overcoming fears in this topsy-turvy world. YOURS is the spark that ignites and unites generations of power! Establishing happy, satisfying habits takes some time. Knowing what to do and how to do it is priceless. Education coupled with consistent experiences helps you break the unproductive patterns of the past as you grow in the direction of creating much happier results in your life. Participating in our membership circles, helps you sustain your positive direction and momentum in an ever-darkening world. Healing is an Investment --an investment in your INner self. and cheer each other on. Joyful Breakthrough Membership Circle TODAY! JOIN me on your own TODAY’s ChangeMaker JOURNEY. We each change our life from the INside out. Receive the support and INcouragement you’ve been waiting for. Become a happier, revitalized, renewed YOU! Is less than 15- 30 minutes a day too much to IN-vest in yourself? that your family line has been waiting for. auto-renew your membership fee with no interruptions. Join a ReNEW YOU Joyful Breakthrough Class and Membership Circle TODAY. I can hardly wait to meet you! Your monthly charge is locked in at the amount you were charged when you enrolled until you terminate your membership. To retain your membership after participating for at least a full month, you may put your membership on hold for a $35 a month fee. If you wish to cancel your subscription, you can easily do so by contacting us no later than 11:59 p.m. Mountain Time on the Tuesday before the next session starts. Contact me at renewyouleader@gmail.com. Any requests after the deadline will incur a $35 processing fee.